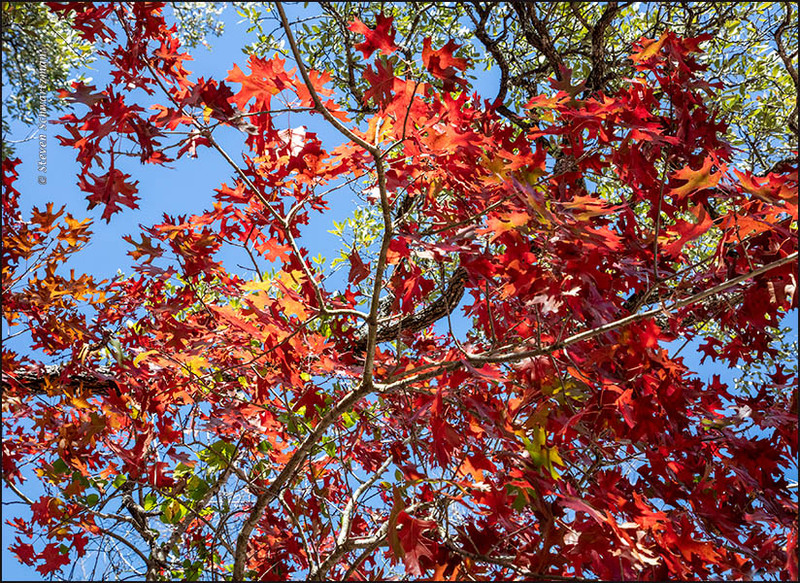 Unlike the low arcs of the little bluestem seed heads that appeared here last time, the arc in today’s photograph is tall and wooden and frames the bright red leaves of a young Texas red oak (Quercus buckleyi). 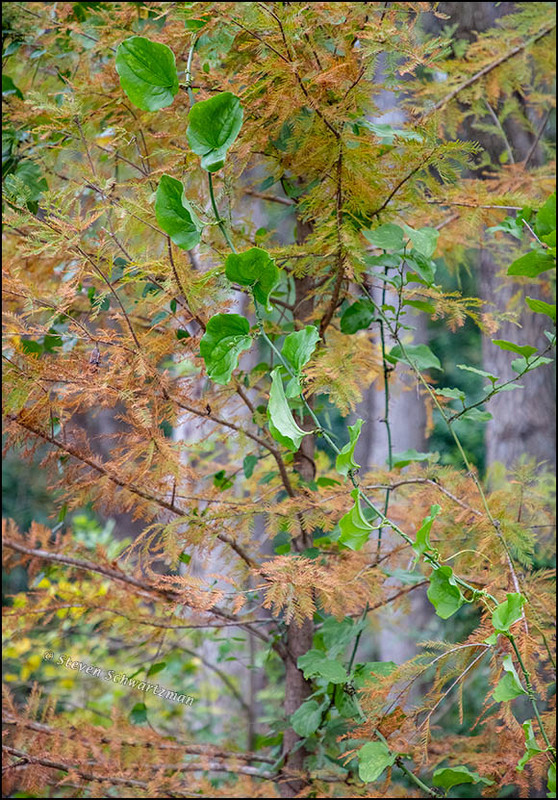 Contrasting with the red leaves are those of a greenbrier vine (Smilax spp.) that had climbed up not only onto the young oak but also into the taller bare trees on both sides of it. 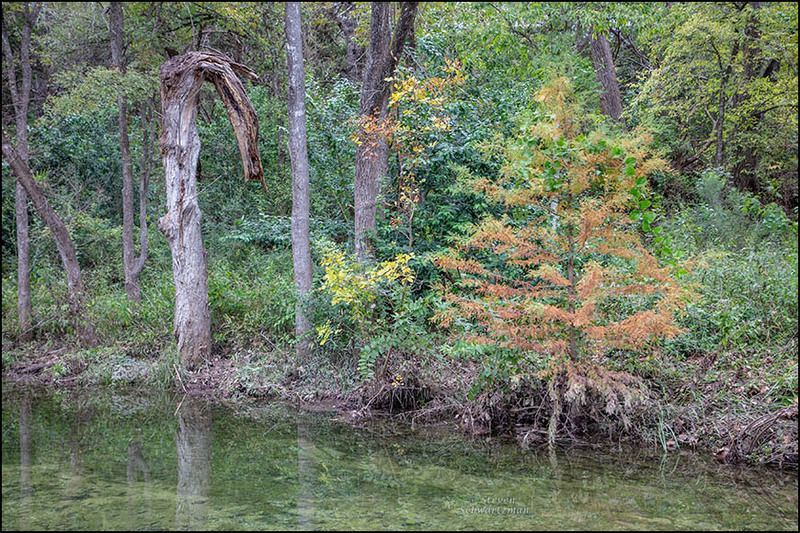 I photographed this pleasant landscape along the Brushy Creek Trail East in Round Rock on December 2nd. Below is another oak I looked up to about 20 minutes earlier, when we’d just begun to follow that section of the trail. 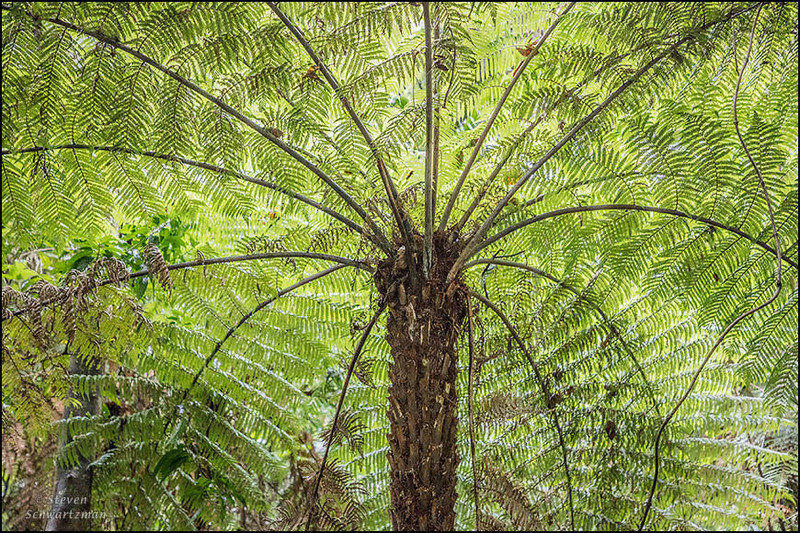 Over the two years since our first visit to New Zealand, something I wished I could do again was look up and see the parasol of a tree fern. In the Manginangina Scenic Reserve on February 15, 2017, I was able to do that once more. Note the slender vine insinuating itself down the right side of the picture. The previous post featured a flower of Cynanchum racemosum var. unifarium, known as talayote. 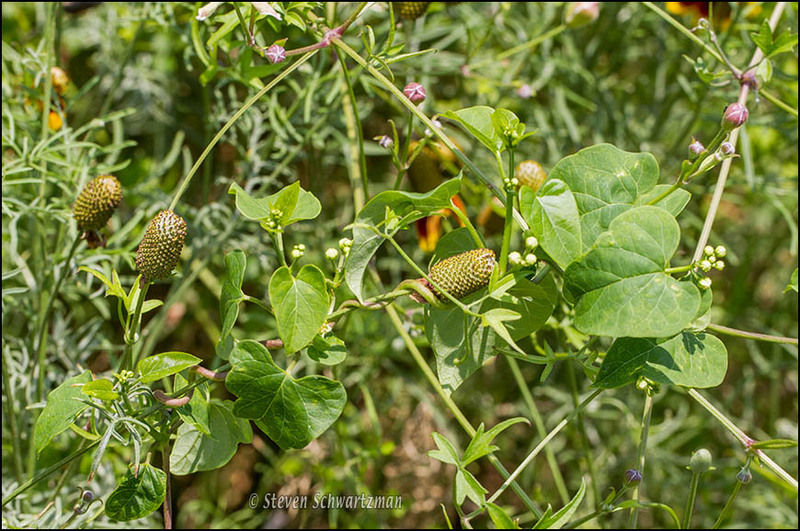 The plant is a milkweed vine, and its viny nature is clear in the picture above, which shows some talayote twined around the stalk of a Mexican hat, Ratibida columnifera. 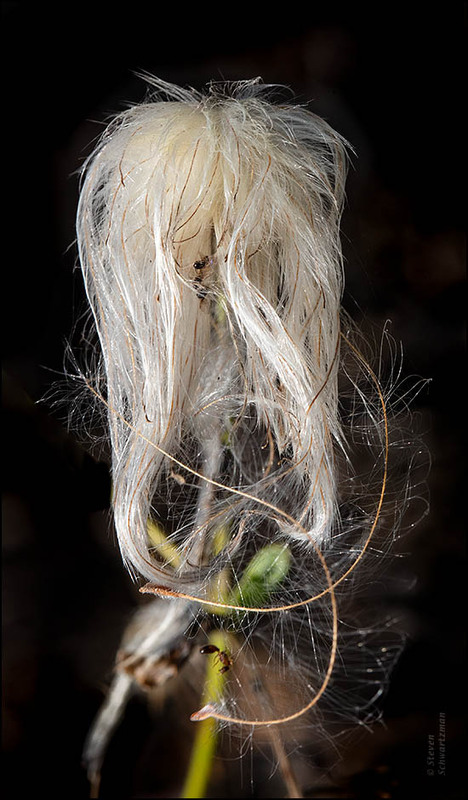 Also in evidence in the photograph, and likewise looking for a foothold on other plants, is some Clematis drummondii, known as old man’s beard based on its appearance in a later phase. They say you can’t tell the players without a scorecard, so here it is. Below, also from May 25, 2011, in my northwest Austin neighborhood, is a closer look at talayote grabbing a Mexican hat seed head. 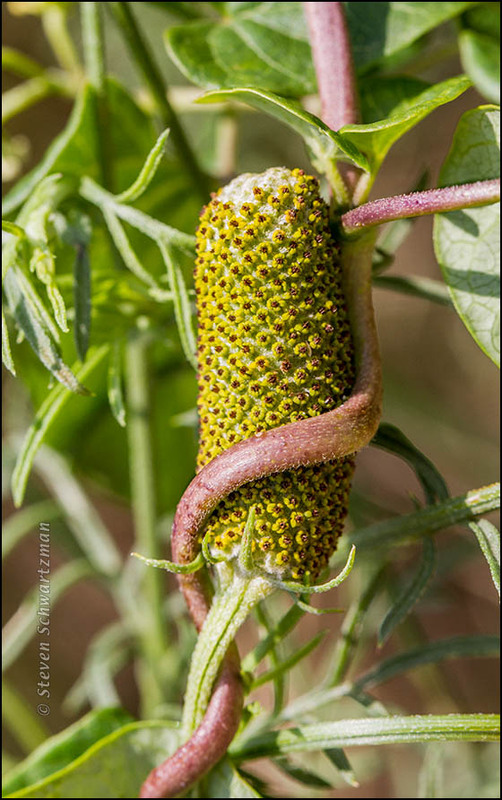 An exchange of comments last month with Linda at The Task at Hand brought up a milkweed vine classified as Cynanchum racemosum. The vernacular name is the four-syllable talayote, the form in which Spanish borrowed an indigenous word for the plant. Talayote rang a bell, so I searched my archive and discovered that the one time I ever found the species was May 25th, 2011, and right in my neighborhood. 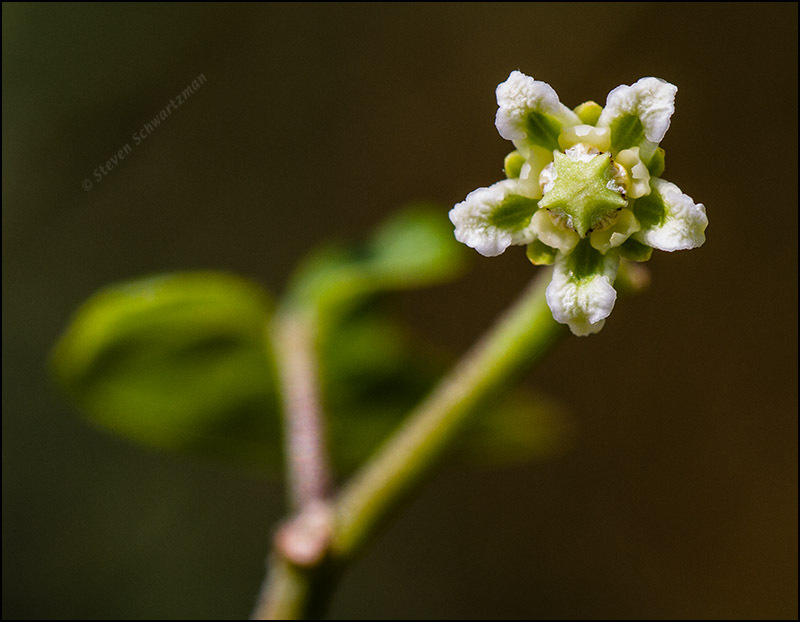 That was a couple of weeks before this blog started up, and with a world of native plants to highlight in the ensuing posts, I lost sight of talayote. Here then, six-and-a-half years late, is a photograph of a talayote flower. 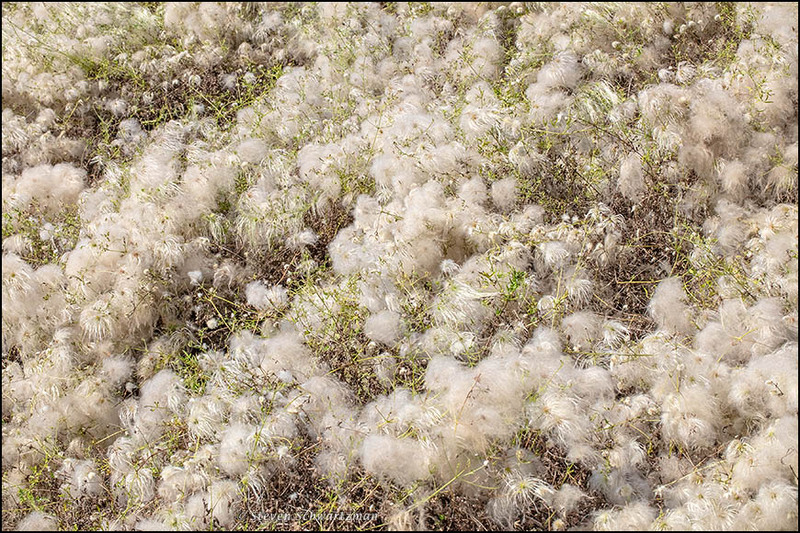 Notice once again that milkweeds do things in fives. While I never showed talayote here till now, I did feature a different Cynanchum species in 2013. 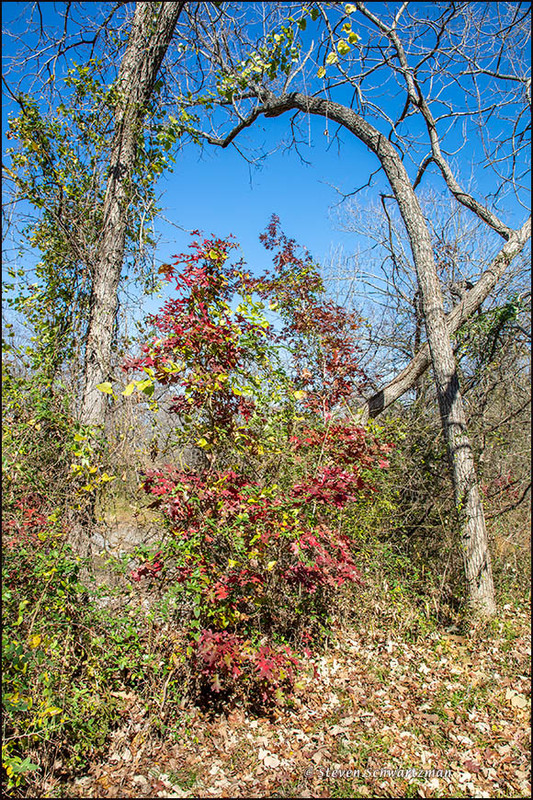 The previous post, which showed a lush Virginia creeper vine (Parthenocissus quinquefolia) with richly red leaves, engendered a few comments about poison ivy (Toxicodendron radicans). That’s understandable because some or perhaps many people confuse the two vines, even though Virginia creeper normally has five leaflets and poison ivy three (but check out a post from 2015 showing a rare exception). 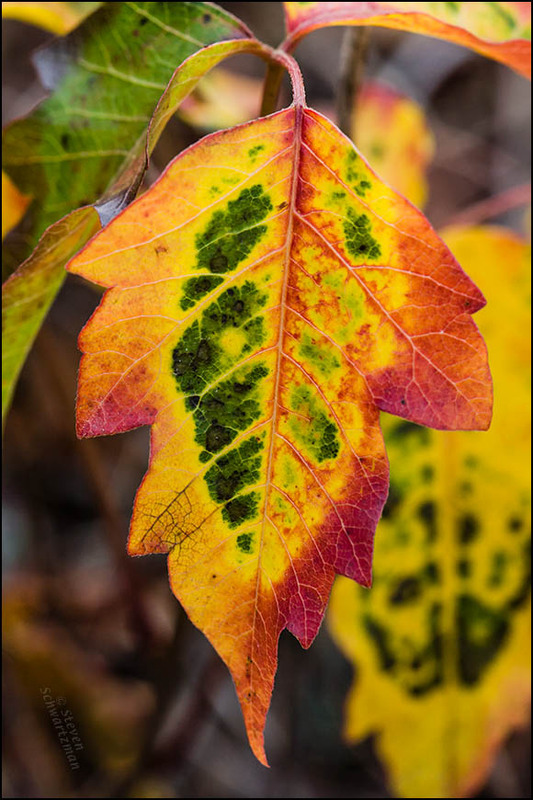 So far in 2017 I’ve come across several instances of poison ivy turning colors and have taken a few pictures, none of which rival my best ones because the plants themselves this season haven’t been as attractive as in certain other years. For that reason I’ve chosen to show you a photograph from November 27, 2006, when I went to north-central Austin’s Allen Park and found stands of poison ivy that remain the most colorful I’ve ever seen.